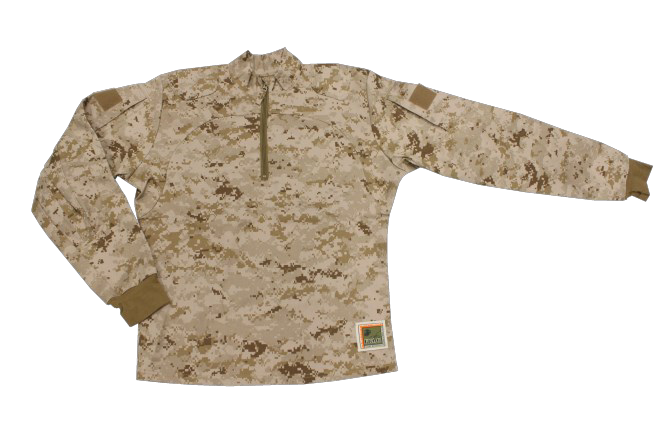 The inclement weather combat shirt (IWCS) is a pullover shirt that will provide FR protection as well as protection from wind and water. It is designed to be worn over the combat blouse. The shirt front shall consist of a slide fastener front closure and a stand up mock turtleneck collar. The front slide fastener closure shall be equipped with a slide fastener garage. Slide fastener shall be equipped with slide fastener pulls. Each sleeve shall have a vertical patch pocket. The pockets shall be constructed with a bottom bellow, sewn eyelet drainage hole located in the bottom bellow, and a concealed two-button closure flap. Pockets shall be superimposed with a 2" x 2" loop fastener tape for attachment of rank tab and infrared tab. The shoulder yoke provides water resistant protection. 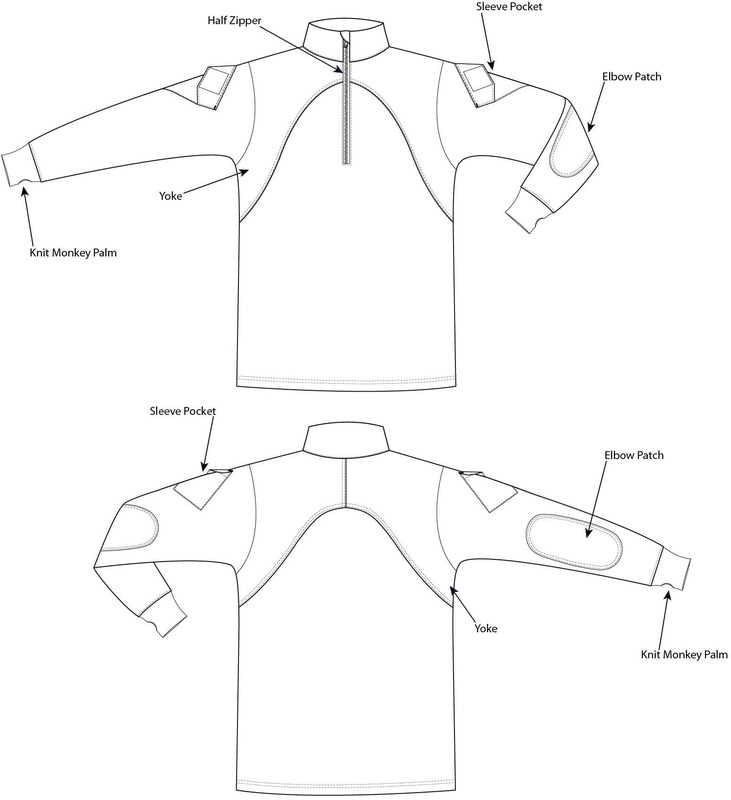 The stretch woven torso extends from the shoulder chest yoke seam to the shirt hem, and is designed to provide moisture management and improved comfort when worn under body armor. The shirt sleeves knit cuffs with sewn monkey palms and shall have reinforced elbow patches. All zippers shall have pull tabs approximately 1.5 inches in length. The back of the shirt shall have a waterproof shoulder yolk with a stretch woven torso extending from the shoulder chest yoke seam to the shirt hem. The basic material for construction of the torso and collar shall consist of a flame resistant (FR) rayon/para-aramid/nylon/spandex blend conforming to TenCate style Defender M Stretch or equal. The basic material for construction of the sleeves, upper chest, elbow patch and raglan underarms shall consist of a FR rayon/para-aramid/nylon/modacrylic/lyocell/spandex/ePTFE blend conforming to TenCate style Defender M Stretch Laminate or equal. Short Bark Industries, Venore, Tenn.
a $31,147,448 firm-fixed price, indefinite-delivery/indefinite-quantity contract contains options, which if exercised will bring the total cumulative value of the contract to $41,876,159.